The SpaRTaN-MacSeNet Spring School on Sparse Representations and Compressed Sensing is organized and sponsored by the SpaRTaN (Sparse Representations and Compressed Sensing Training Network) Marie Curie Initial Training Network (ITN) and the MacSeNet (Machine Sensing Training Network) Marie Sklodowska-Curie Action Innovative Training Network (ITN). Non-project members will need to cover the cost of their own meals and accommodation. The spring school is being hosted by Fraunhofer IDMT in Ilmenau. Further details of accomodation and local arrangements are available in the briefing pack. As a warning very few places in Ilmenau take credit cards but we have located some ATM/Cash points which take Visa. "Ilmenau Lindenberg" by Michael Sander - Own work. Licensed under CC BY-SA 3.0 via Commons. The best way to get to Ilmenau is to fly to Frankfurt/Main (FRA) and take a train to Erfurt (which takes about 2,5 hours). In Erfurt you have to change to another train to Ilmenau (which takes about 1 hour) or take a rental car or taxi to Ilmenau (which takes about 35 minutes). You can also fly to Berlin and take a train to Erfurt or you can fly to Leipzig/Halle (LEJ) which is the nearest airport to Ilmenau. But as the train connection from Leipzig Airport to Erfurt/Ilmenau is not that good you would then have to take a rental car from Leipzig Airport. 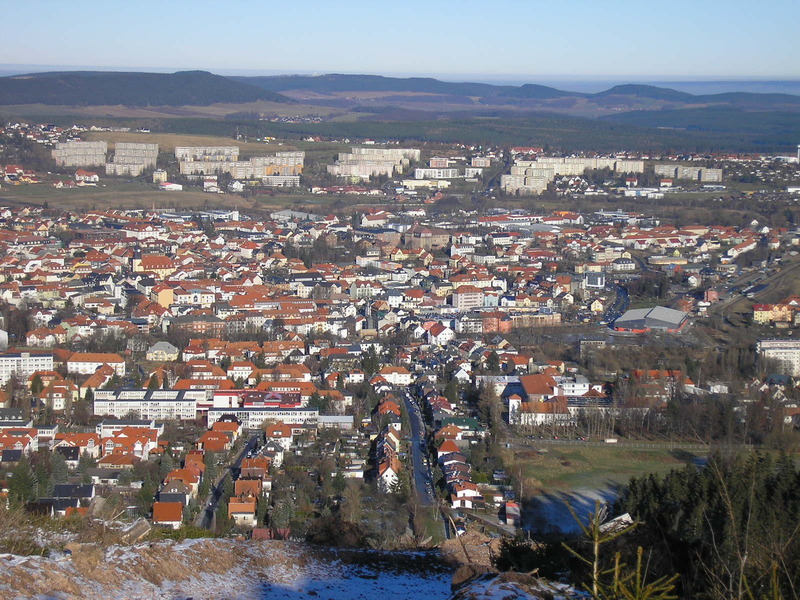 Be sure to check out the software carpentry event page before you come to Ilmenau. You will need to prepare your laptop with some basic software to take part in the course and there's a pre-course survey so we know what level everyone is before we start. If you've just started then your poster will be a project proposal with some background (literature review) on common techniques in the field you're working in. If you're further on in your studies then you can pick the topic of your current work or a recently published paper. The boards are portrait with size : 70x100cm so they should fit A1 (or a bit larger). The spring school had a wide range of attendees, they're listed here so that you can remind yourself of names or verify spellings! The first 2 days will be devoted to Software Carpentry. Software Carpentry's mission is to help scientists and engineers get more research done in less time and with less pain by teaching them basic lab skills for scientific computing. This hands-on workshop will cover basic concepts and tools, including program design, version control, data management, and task automation. Participants will be encouraged to help one another and to apply what they have learned to their own research problems. Take a look at the event page to find out more. Lectures and tutorials covering the theory of sparse representations, compressed sensing and related topics, and applications of these methods in areas such as image processing, audio signal processing, and signal processing on graphs. The poster session is there to give delegates a chance to discuss their own work with their peers and the speakers.